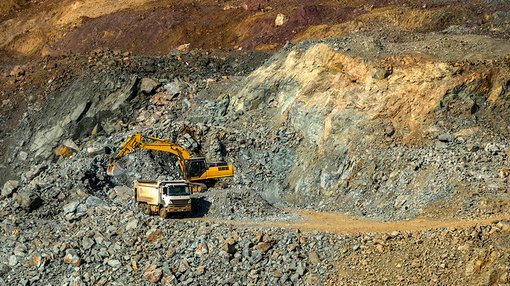 Having completed its phase 1 drilling campaign at its Alcoutim copper zinc project located in Portugal, Auroch Minerals (ASX: AOU) commenced the third hole on August 8. Management was encouraged by the fact that the second hole intersected targeted stratigraphy Volcanic Sedimentary Complex (VSC) at 830 metres. Results released since then have provided further confidence with Chief Executive Doctor Andrew Tunks saying on Monday, “Initial results in from hole ALFP002 (the second hole) confirmed significant magnetic similarities with that of Foupana magnetic anomaly, which the company believes is a strong indication of the prospectivity of the ground we are currently exploring”. to be equivalent to the host rock mineralisation at Neves Corvo (Figure 1). Ex-Billiton staff confirmed in a recent meeting that the hole was abandoned due to the inability of the rig to drill any further. The drill core containing sulphide rich black shales from AC-1 has either been entirely sampled or lost. 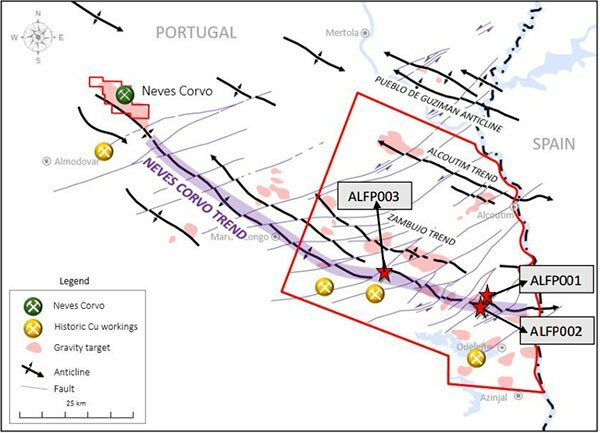 Hole 3 will test several hundred metres along strike from the AC-1 drill intersection into the Neves Corvo position (sulphidic black shales), as well as continuing deeper to test for additional mineralised horizons, similar to other deposits on the Iberian Pyrite Belt. The following map highlights the significance of the current drilling campaign in terms of targeting the Neves Corvo trend. From a share price perspective, AOU received strong support after announcing that it had intersected targeted stratigraphy with its shares increasing approximately 17% from 14.5 cents to 17 cents. Of course, share trading patterns should not be used as the basis for an investment as they may or may not be replicated. Those considering this stock should seek independent financial advice. This level was maintained until Friday of last week when a sell-off in the S&P/ASX 200 Materials index tended to have a broad-based effect on most mining stocks. AOU closed at 15 cents on Friday, and has traded at that level on Monday morning, perhaps creating a buying opportunity.